Travel blogger Jai Yehia has just returned from Berlin where she took a photography workshop in the beautiful city. 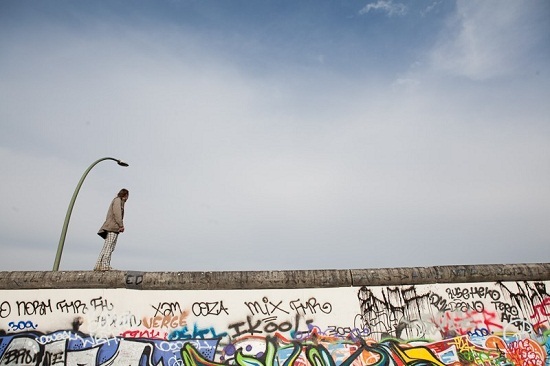 She shares her top photography tips and an insight into her trip to Berlin. Cut through the concept of travel these days, and stick-of-rock-style you’ll probably reveal the word photography. The two concepts are more intertwined than ever before. We travel therefore we photograph. We see the world through our camera lenses and our smartphones and bask in the glory of the likes we’ll get on Facebook for the shots we’ve yet to even take. So taking a street photography tour in a new destination is the next logical step on travel and photography’s hand-in-hand walk into the sunset. In an iconic city like Berlin, being taken on a personal tour via a photographer’s well-trained eyes can help you learn something a little deeper about the destination, while snapping better images of Germany’s cultural epicentre yourself . This is just what Berlin-based photographer Katrina James specialises in when she shepherds small groups of today’s image-savvy travellers beyond the Berlin basics with her hands-on street photo workshops - and teaches you how to get the right shot in any circumstances. The erstwhile divided capital offers up viewfinders full of inspiration at every turn, whether visiting in winter when you’ll be shooting with the white glare of the snow, all frozen fingers and toes, or in the summer when the city comes to life and that life spills out onto the water with all the reflection-based possibilities that brings. Learning photography in this hands-on way is part fieldwork and part classroom–style learning, but your field is the entire urban mecca of Berlin and your classroom is a cool Warschauer Straße café. First you deconstruct what makes a great image - and why - before taking the discussion, yourself and your SLR onto the streets to get up close with the city’s trams and underpasses, street art, and architecture. Here’s a bluffer’s guide to the lessons on offer, so you can practice training your beady Berlin eye on incredible urban images, wherever you are. Well that sounds mean doesn’t it? We often wait all day for people to get out of our pictures. Don’t! Use them in the shot; they add life and context to your images. Lesson 2. Rule of thirds. This rule of thumb is a great one for creating interesting images. You want to make sure that the ‘action’ is taking place in one of the thirds of your photograph, when divided either horizontally or vertically. This gives you drama in your image rather than having the horizon or your subject directly in the middle of the picture. Lesson 3. Isolate interesting details. Think about what you leave out of the shot as much as what you put in it. We want an overall picture but the things that really make a story great are the small details, take time to notice them. The eye is naturally drawn along visual lines, use these lines, whether actual or merely suggested, to draw your viewer to what you want them to see. Lesson 5. Look for shadows and shapes. Lesson 6. Think about Context. For example do you need a shot of a huge crowd to tell you how busy it is? Look for other ways to express the same scene with more emotion. Lesson 7. Photograph other photographers. If you are shooting in a highly populated tourist area, try turning the camera around and capturing your fellow tourists - there are beautiful moments going on that are normally missed because we are all focussed on the same subject. When photographing a well-known building or monument, for example the Berlin Wall, don’t feel that you have to get the whole thing in the frame, an image at a different angle can work better. Bonus Challenge - Try giving yourself a limit to the number of pictures you’ll take in a day. This makes a great exercise to force you to look first, and take better pictures second. 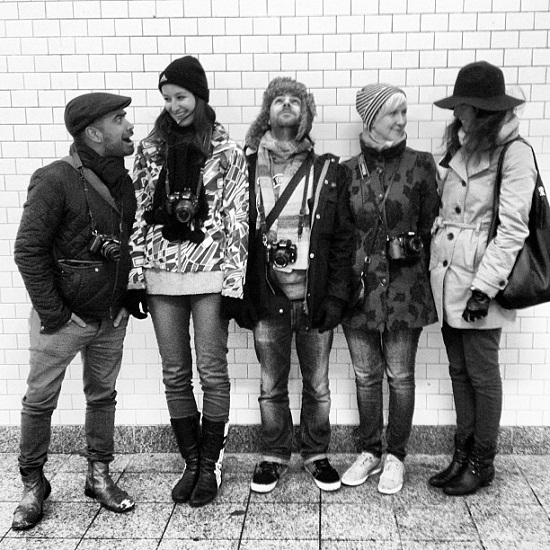 Katrina’s bespoke Berlin Street Photography Workshops cost €50 and there is a limit of 5 people per class.